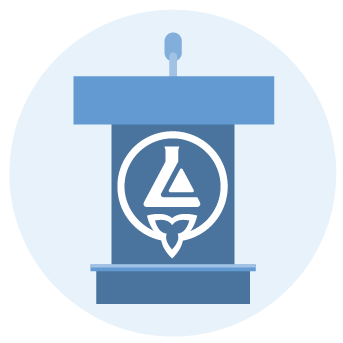 CMLTO staff members and staff from other regulatory health Colleges will be on hand at the Ontario Health Regulators booth at the Zoomer Show Lifestyle Expo held in Toronto on October 27-28, 2018. Practice advisors from the Colleges will speak to attendees about the regulated health professions and the public’s right to safe and competent care, as well as demonstrating how to use the Ontario Health Regulators website. Please drop by to say hello if you are attending the show. To request a CMLTO speaker to deliver a presentation, please email memberrelations@cmlto.com. The CMLTO office will be closed on October 8, 2018, for the Thanksgiving Day statutory holiday. Regular office hours resume at 8:30 am on October 9th. Your feedback is greatly appreciated and will help the CMLTO to improve its resources. If you have any questions, please email the Quality Assurance department at qualityassurance@cmlto.com or call 1-800-323-9672, extension 2. CMLTO members should review and update their profiles before October 1st, 2018, at www.cmlto-onlineservices.com. Please ensure your mailing address is correct if you have moved recently. The CMLTO will be mailing the Notice of Annual Registration Renewal for 2019 to your home address that is currently on file, on October 19, 2018. The online renewal system will be available from November 1 to December 31, 2018. If you do not remember your CMLTO registration number, please search for your name in the Public Register of Members at www.cmltoregister.com. The CMLTO office will be closed on September 3, 2018, for the Labour Day statutory holiday. Regular office hours resume at 8:30 am on September 4th. Members have until 11:59 pm on September 28, 2018 to vote. The CMLTO office will be closed on August 6, 2018, for the Simcoe Day statutory holiday. Regular office hours resume at 8:30 am on August 7th. The CMLTO is pleased to announce the publication of the 2017 Annual Report in English (PDF) and in French (PDF). Please note that the latest version of the Chrome browser now indicates that cmlto.com is not a secure site. This site does not collect and manage user data. The CMLTO websites to which users do provide personal information (for application and registration purposes) are secure. The CMLTO is working on correcting the issue. Thank you for your patience.